Battery life isn't that great. Google's apps are annoying and difficult to use. If you add a photo to an album, the text app can't find it. If you use the web messages feature, your messages sometimes get lost. Lots of dumb push notification spam from Google. Why is it telling me about a hockey game when I've never searched for hockey and never watched a full hockey game in my life? Kingslayer, 21 Apr 2019Be stuck in their sandbox. And stock android isn't? They removed the option for custom contact colors, custom message colors, can't change font, can't change AOD style, can't even remove the google searchbar from home screen. Flexibility! Anonymous, 09 Apr 2019Google are just making a poor man's iPhone. Although, I shouldn't say a "poor man" because the... moreBe stuck in their sandbox. ss, 19 Apr 2019is your Ring Tone volume ok? do you find it good enough?Have no doubt. Google is cheating us. I sent the phone for service with in three days of purchase regarding the low ring volume issue. After a week , they are saying that they have checked the volume and it is as per the standard. I asked them what is their standard decibels but they dont know about decibel and they dont have any standard over that. The person told me that when he hear the Ring Tone it seems to be ok for him!! now they are sending back my phone. No replacement. My God! what a fool i am. Alrapaca, 19 Apr 2019I have not had those problemsis your Ring Tone volume ok? do you find it good enough? If I buy just only for camera shooting. Use it for instead of my canon. Buying Pixel 3 is the worst decision I have ever done. This device has internet and wifi issue: it will keep reconnecting without any good reason and it cannot provide stable internet. I can promise this is a device problem because all my other devices work well under the same wifi provider and same sim card. And their customer service is a basically a joke. I thought google will do a good job, but instead, they tend to think you are silly and give you all the solutions you have tried and not to admit this is their problem. The feedback system of this device is useless. No one will care about your feedback. So my suggestion is that never use a Google cellphone. They don't know how to provide a high-quality cellphone yet. Unless you try to drive yourself some nuts. Anonymous, 13 Apr 2019poor mans iphone? lmao the best iphone out is equal to a GALAXY S7. the iphone xr has a screen... moreGalaxy s7 is lag as hell. 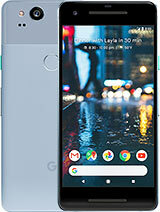 Compier, 09 Apr 2019hello, im looking for smaller phone, considering pixel 3 (650eur) vs s10e (750eur) could someo... moreNever go for this phone, this is having very low Ring Volume totally useless in practical. 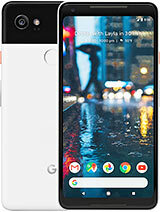 Compier, 09 Apr 2019hello, im looking for smaller phone, considering pixel 3 (650eur) vs s10e (750eur) could someo... moreS10e has better display, better battery, better build quality. 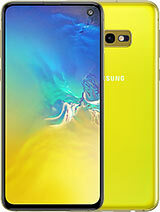 hello, im looking for smaller phone, considering pixel 3 (650eur) vs s10e (750eur) could someone help to decide which is better value for money according price that I mentioned above? 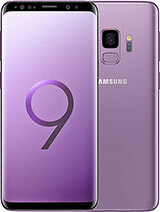 Martin, 27 Mar 2019Nice phone, but undoubtedly Google is becoming more Â“evilÂ” than Apple and no one bats an eye... moreGoogle are just making a poor man's iPhone. Although, I shouldn't say a "poor man" because they charge the same prices as Apple for inferior products. They mocked Apple for ditching the headphone jack, then followed suit. Meanwhile, Samsung & LG keep the jack without any trade-offs. Google made fun of Apple for the notch, then they create the biggest notch ever! They don't have the quality control, customer service or ecosystem to come anywhere close to rivalling Apple. 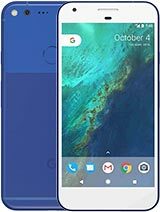 Pixel 3 (non XL) has no notch, better speakers and screen brightness, but worse battery life and only FHD+ display. If battery life, screen size & display are important to you, choose the XL version. Or alternatively, spend your money elsewhere. Both phones are overpriced iphone wannabes. Anonymous, 30 Mar 2019Just go S10e can't beat it best phone on market.Pixel 3 is having very very low Ring Volume.Totally unusable. Dont lose your money like me.You will not get a replacement in India. 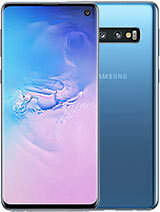 Just go S10e can't beat it best phone on market. Nice phone, but undoubtedly Google is becoming more Â“evilÂ” than Apple and no one bats an eye. How, you ask? Phone is made to appeal to Apple user Â– clean slate with no aesthetically appealing cameleon / colour changing features, but very recognisable as a phone. In addition, very clean and uncluttered systems is an Apple like. Yes, the phone takes stunning photos, but like all other Android phones is great in one area, but rather poor in overall. I managed to freeze several apps in a span of 3 weeks, phone is often unresponsive, or less responsive than my Iphone 6s. What I find the most annoying is how Google treat their customers. Apple was slated online for not having memory card slot, for removing headphone jack, adding the Â“notchÂ” (famous Samsung Â“GeniusÂ” parody) or for trying to sell a very expensive phone in general. Pixel managed to achieve the same, however people suddenly forgot how much of a nuisance it was. But thatÂ’s not the biggest problem. Most Android users claim that this system is very open and not focused on profit. Well, think again, as Google is set up on maximalisation of profits! 1. Charger. Do you have a generic Qualcom Fast / Turbo charger to quickly charge your phone? Well, it wonÂ’t charge your Pixel quickly. The only quick charger is the original Google charger, which cost more than £30. 2. 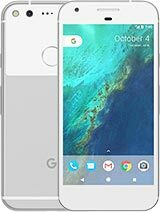 Pixel doesnÂ’t have the jack port, but you can use the provided earbuds. What you canÂ’t use is a generic USB C / jack adapter. It wonÂ’t work. 3. People complained how poorly Apple USB cables are. After having Apple for couple of years, I didnÂ’t experience damaged cable, however I have already noticed a bid crease / bulge on the Pixel earphone cable close to the USB plug. It will get damaged easily. 4. Wireless charging. I can understand that a company adds extra features to own product to sway consumers, but they should never remove features to force them to buy own branded product. Only the google charger (£69!!) will charge Pixel at higher rate. All other fast chargers will limit this to 50%. On top of that, this charger will not charge other phones as fast charger. 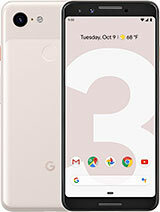 davede, 24 Mar 2019Hello guys, my daily phone is iPhone 8 but I am thinking about moving to Pixel 3. Is it wor... moreUse iphone x instead. 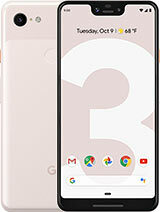 Total of 355 user reviews and opinions for Google Pixel 3.